The Lenovo YOGA 900 is the company’s latest convertible laptop that can be used as a laptop, tablet or a small all-in-one desktop. 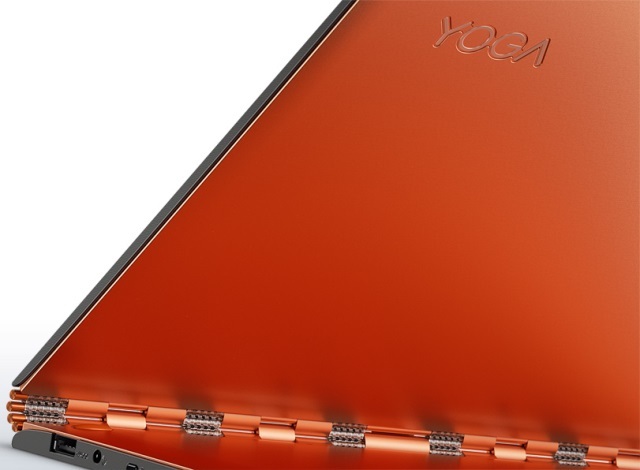 It’s the successor to last year’s Yoga 3 Pro and it’s also the thinnest in its class. Most of the upgrades or improvements found in the new Yoga 900 are based on the customers’ feedbacks on the Yoga 3 Pro. Some of the improvements in the Yoga 900 are improved hinge (with 813 steel pieces to be exact), improved keyboard and trackpad, better battery life, updated with the latest 6th Gen Intel Skylake Core processor and many more. Check out the rest of its features, specifications, price and availability below. This could be the convertible laptop for you. The Lenovo YOGA 900 is the world’s thinnest Intel Core i convertible laptop (based on reviews of major PC manufacturer sites) balancing performance and mobility with the YOGA’s signature watchband hinge. The YOGA 900 convertible laptop is thin and light at 14.9mm and 1.29 Kg, and more powerful than ever thanks to the latest 6th gen. Intel Core i7 Skylake processor, Intel Core i7-6500U at 2.5GHz to be exact. The YOGA 900 provides flexibility with four usage modes (laptop, stand, tent, and tablet), letting users work, watch or play in a variety of scenarios. Lenovo crafted the laptop with its recognizably different watchband hinge made of more than 800 intricately woven, individual pieces. The improved watchband hinge provides a noticeably smoother rotation – allowing users to flip and fold their YOGA 900 easily into different modes. 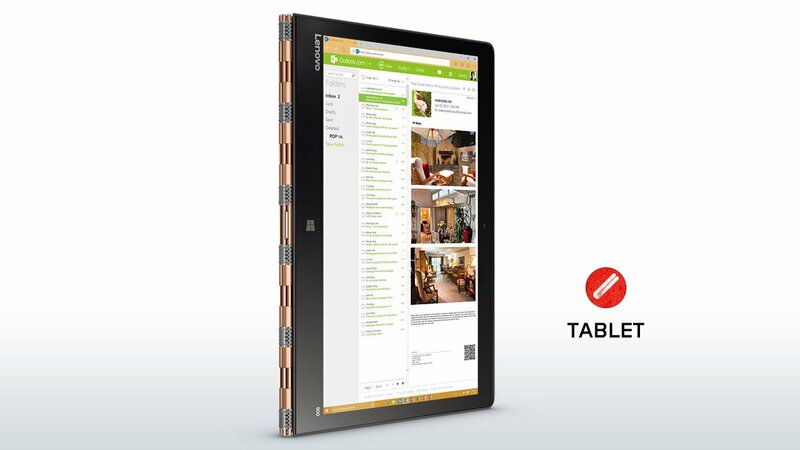 The Lenovo YOGA 900 convertible laptop also takes full use of Windows 10 Continuum, allowing users to seamlessly move between laptop and tablet modes on their YOGA 900. It has 50 percent greater battery density (compared to the previous generation), allowing it to achieve up to nine hours of local video playback (this requires BIOS to be updated to V32 which will be available starting October 26, 2015). From working through a long-haul flight in laptop mode to enjoying a movie marathon in stand mode to reading while commuting in tablet mode, the super-light YOGA 900 can flex into nearly any position to fit into users’ lives. The Lenovo YOGA 900 also features a nice 13.3-inch QHD+ IPS display, at 3200×1800 resolution, offering a wide viewing angle that takes full advantage of the new Windows 10 and brings digital content to life in vibrant colors. Entertainment experiences become more immersive with the device’s JBL stereo speakers and Dolby Audio Premium for powerful sound that’s crisp and clear. Users can escape into a home-theater quality experience virtually anywhere—with audio that dynamically adjusts to deliver a virtual surround sound experience over the YOGA 900’s speakers and through headphones. The new YOGA 900 is designed with a Samsung Solid State Drive (actual unit may vary based on geography and availability) and greater memory capacity (offering up to 16 GB) for higher reliability and a faster experience with minimal noise. Remarkably, even with its razor-thin design, Lenovo improved the cooling system by 30%. Thanks to its distinct thermal solution and uniquely designed vent structure, it not only cools better but also stays quieter and cleaner. Below are the rest of the specifications of the YOGA 900 convertible laptop. *Requires BIOS to be updated to V32 available 26th Oct. 2015. Testing is based on display brightness set at 200 nits & WiFi off. Battery life (and recharge times) are approximate and will vary based on various factors including system settings, features selected and usage. The maximum capacity of the battery will naturally decrease with time and usage. 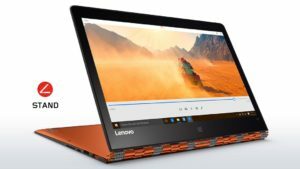 Dimensions (W x D x H) (inches) : 12.75" x 8.86" x 0.59"
The Lenovo YOGA 900 convertible laptop is now available in US with price starting at $1,199 for the base model. 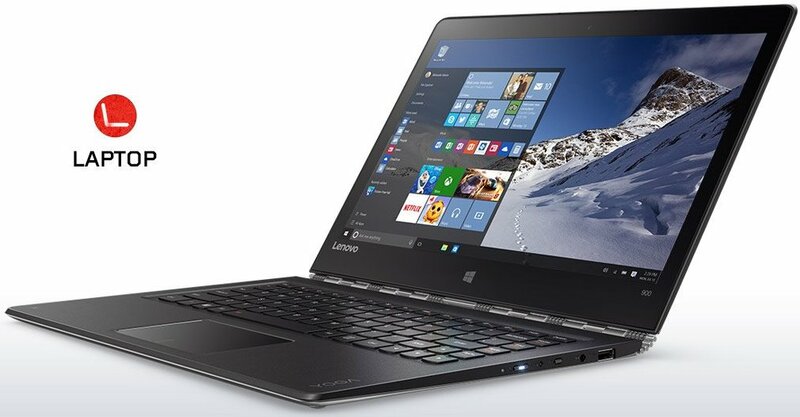 The base model includes Core i7-6500U processor, 8GB of memory and 256GB SSD. Meanwhile the top model available is priced at $1,399 with 16GB of DDR3L memory and 512GB of SSD. It’s available in three different colors: Clementine Orange, Platinum Silver and Champagne Gold. 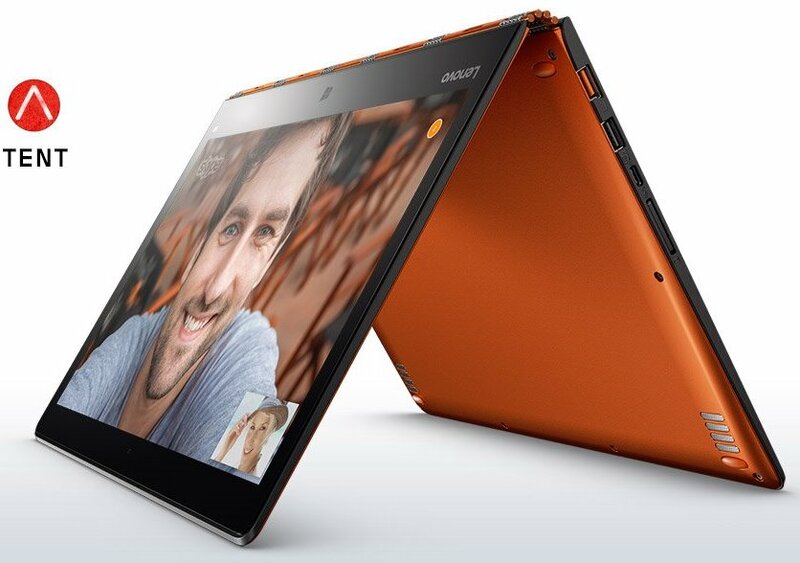 You can choose your model and order one from Lenovo US Online Shop here. You can also check out our list of latest and ongoing Lenovo Promotions and Deals here.